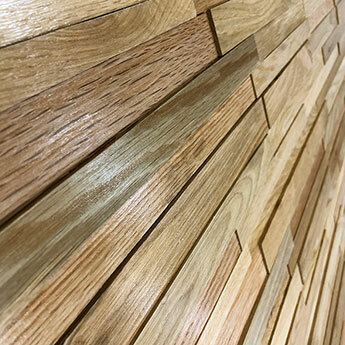 Featuring a light brown colour, this oak wood cladding is perfect for introducing a unique character to interior layouts. 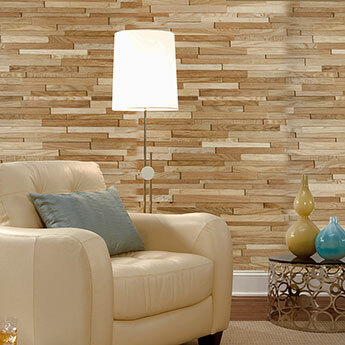 The wood panels are of varying sizes and are arranged on a backing board in an intricate way. 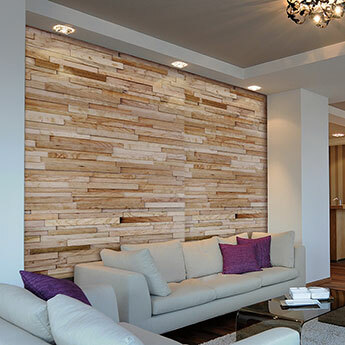 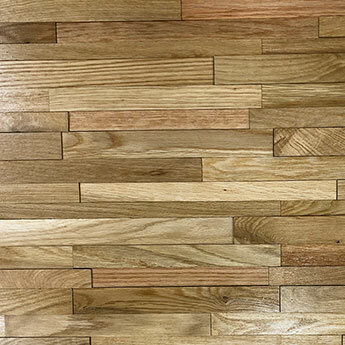 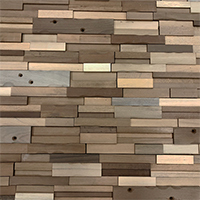 This style makes this wood cladding a great choice for feature wall designs. 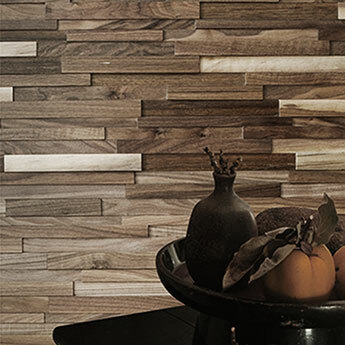 The backing board allows for easy application and this wood cladding can even be applied to ceilings. 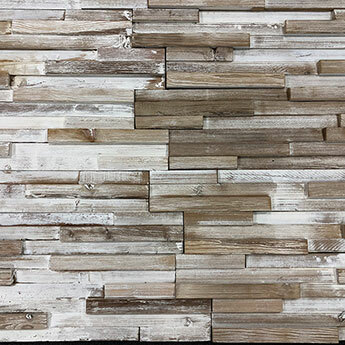 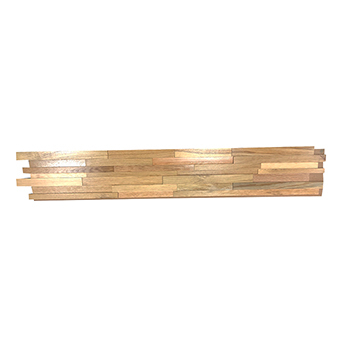 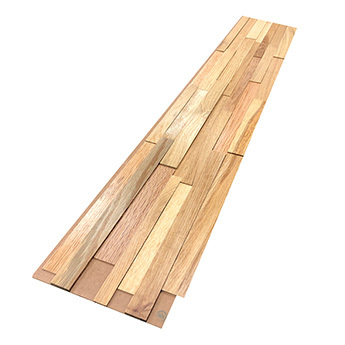 This product is well suited to farmhouse or log cabin style interiors as it provides a distinctive, rustic appeal.